One dish that I really look forward to as the weather cools off is my simple and delicious Beef Chili served Cincinnati style! 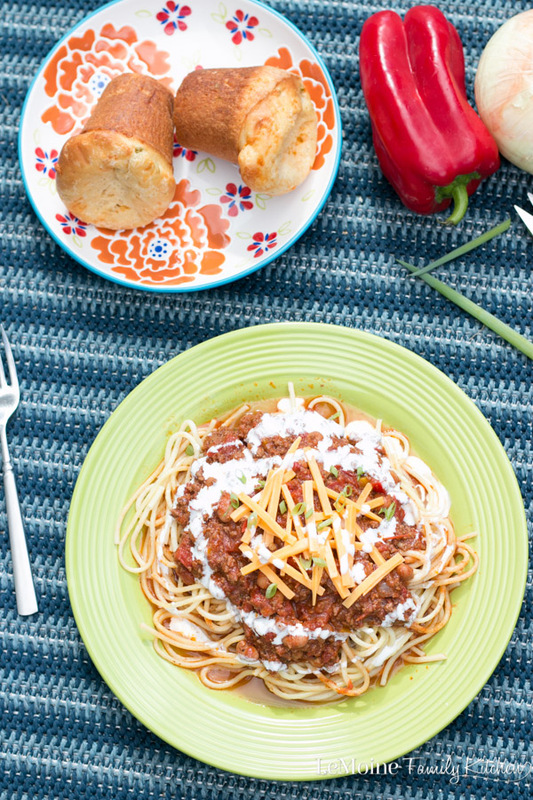 The Beef Chili is hearty, so full of flavor and trust me, perfect served over spaghetti! 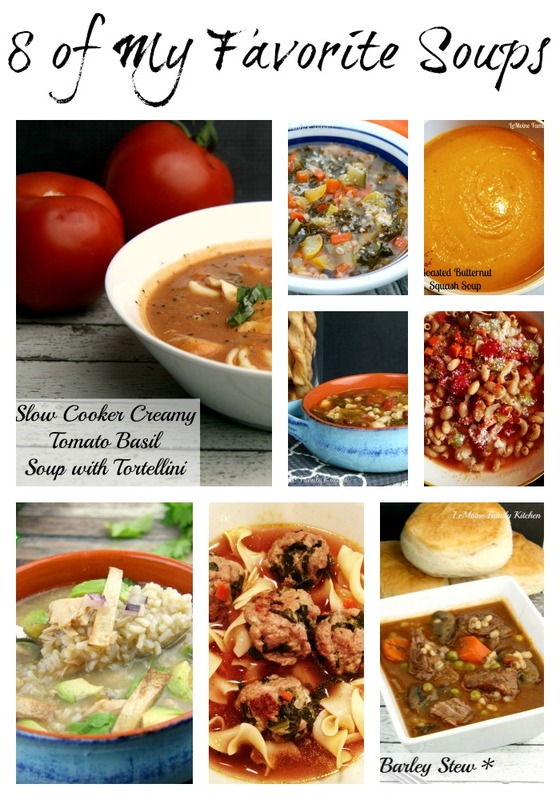 This will certainly keep you warm and satisfied! A typical topped baked potato at a chain restaurant is full of greasy bacon, tons of cheese, a giant dollop of sour cream… sure it tastes pretty darn good but we can definitely do better! 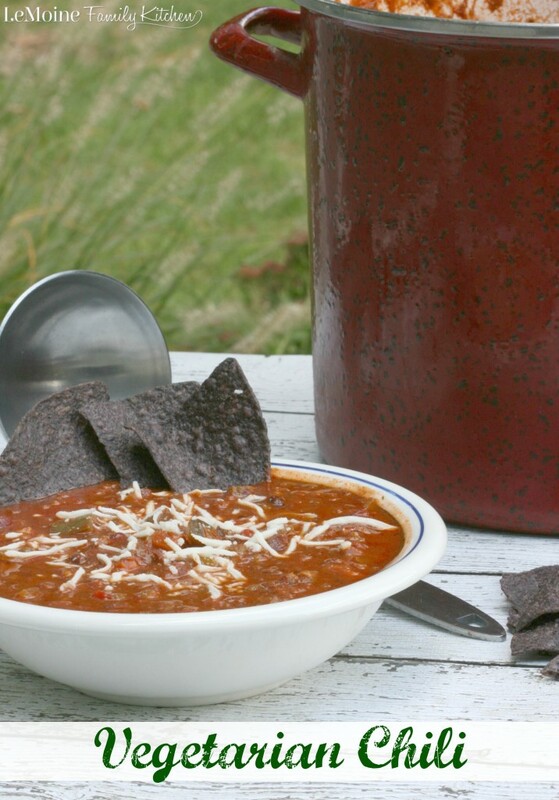 One of my favorite cool weather foods is a big pot of chili! 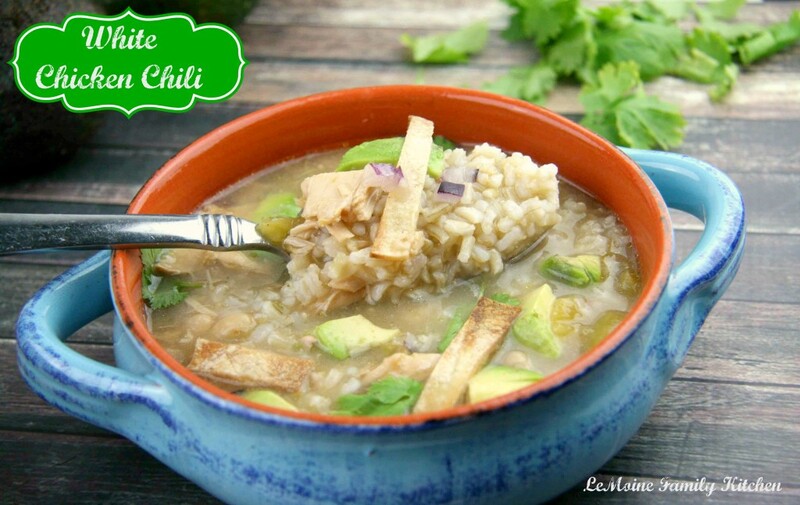 Yes I know, its summer but this is a great way to bring in chili in a different way! 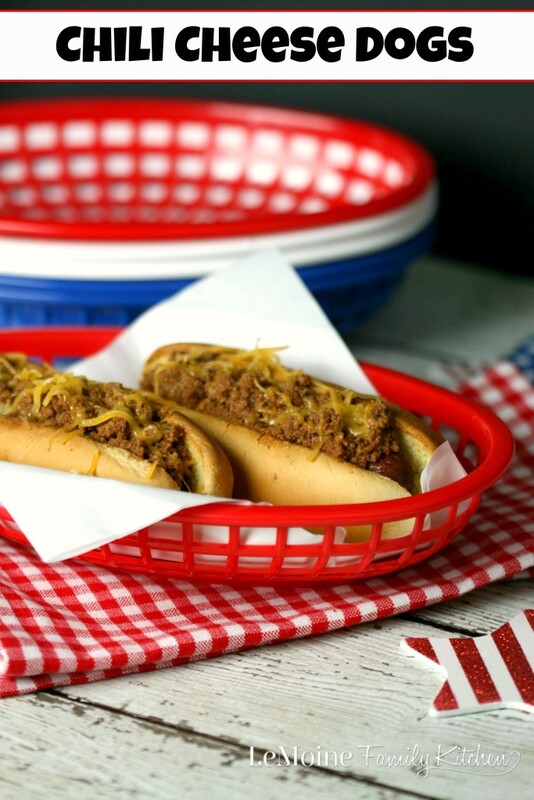 Don’t let the picture fool you, this is actually a very lightened up recipe! This is a small batch of chicken chili that is a bit thicker then my traditional chili. It simmers for just an hour then is poured over top a baked potato. To finish it off, a little cheddar cheese and a scallion greek yogurt crema. 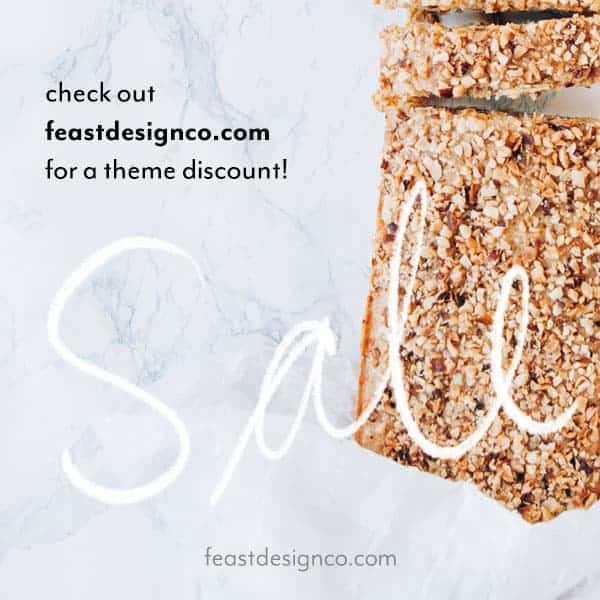 This is a super filling and delicious meal! 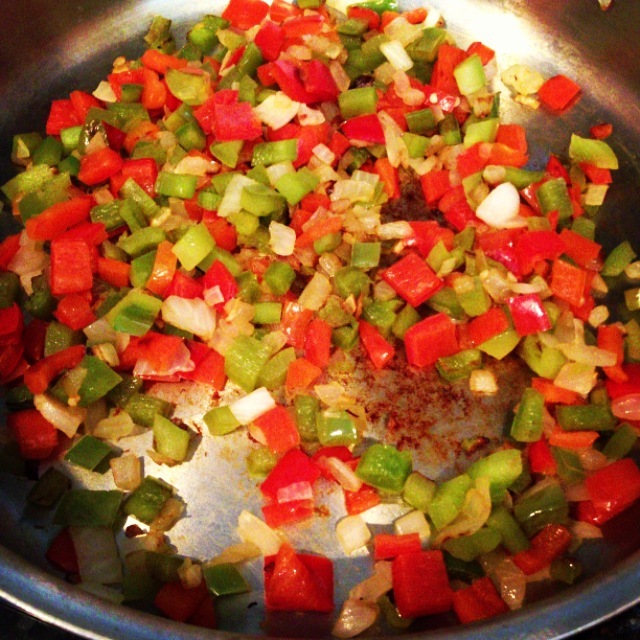 In a large saute pan, over medium high heat, add about a tsp or two of olive oil, the onions and peppers. Cook until softened a bit. Add in the chili powder, garlic powder, cumin, oregano and cayenne pepper along with the ground chicken. Using a wooden spoon break up the chicken as it cooks and incorporate the seasoning. Stir in the tomatoes, beans, corn and broth. Cover and simmer for an hour. Cut the potatoes open and place in a baking dish. 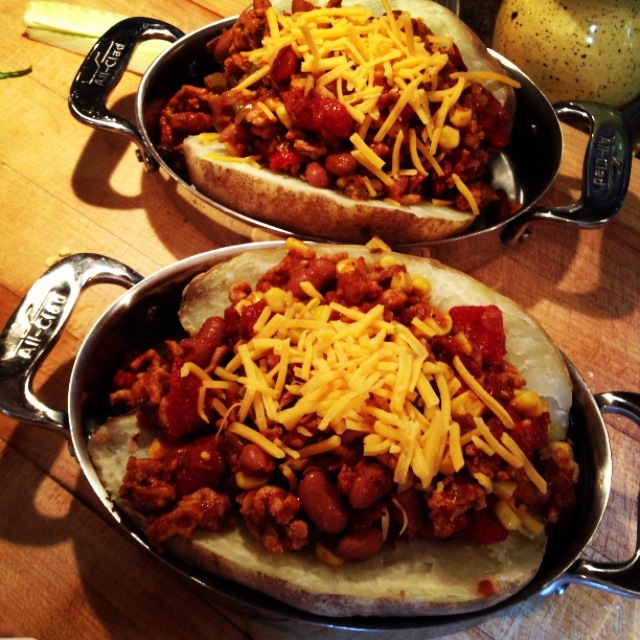 Top with the chicken chili and about a Tbsp of cheddar on each potato. Bake at 375 degrees for about 10 minutes. For the Scallion Greek yogurt creme… in a bowl mix together the yogurt, the finely chopped garlic, as much scallion as you like and season with a little salt and pepper. 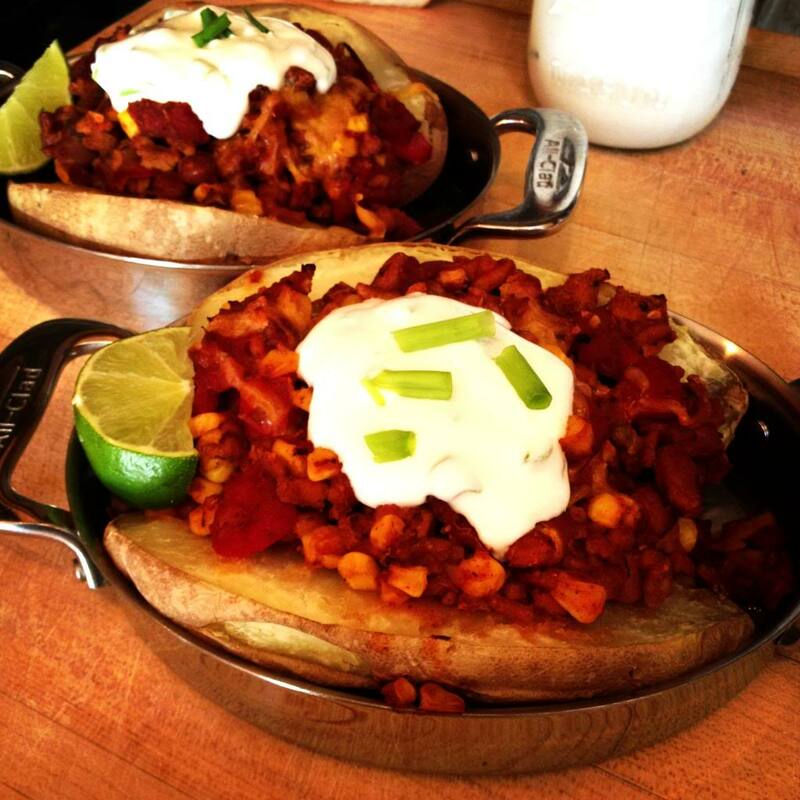 Top the chili potatoes with a good dollop, garnish with a wedge of lime and serve. First, can I just say, I am loving this spring weather!!! Sitting out on the deck watching Jack run in circles while I blog… perfect! 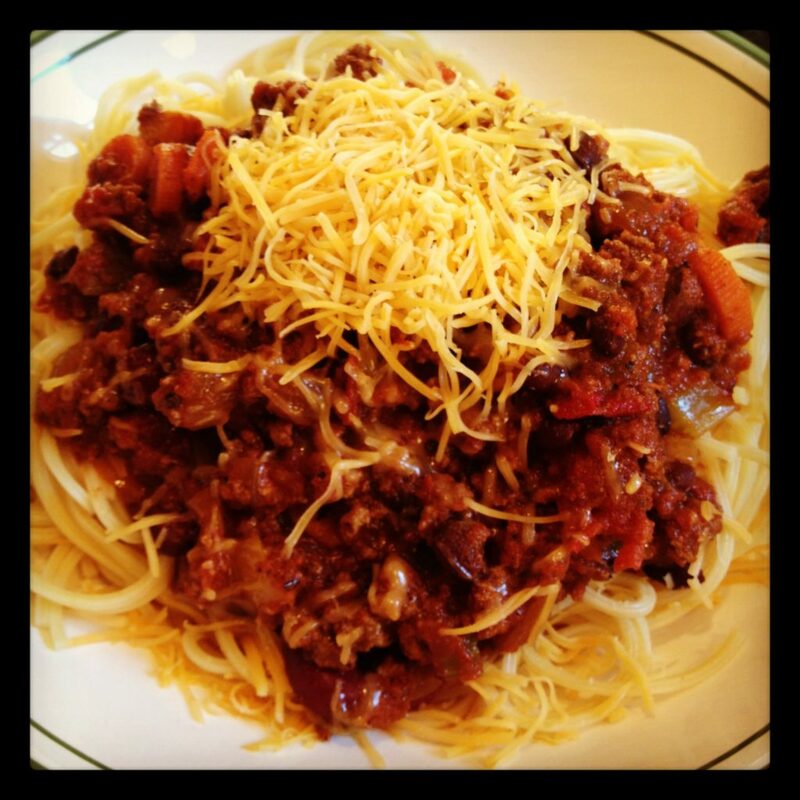 Back to the food… I absolutely love the combo of pasta and chili! Whenever I make a big pot of chili, I serve it over spaghetti, its fabulous!!!! Figured I’d kick things up a bit and add the element of cheesy goodness to it and make a big thing of chili mac & cheese!!! I lightened things up a tad by using ground turkey instead of beef and veggie broth in place of milk for the cheese sauce. 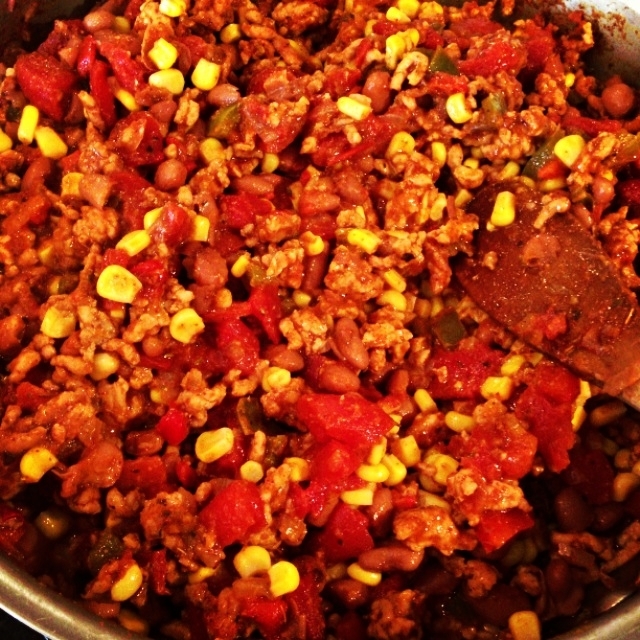 This chili recipe is relatively “mild”, if you want to kick it up just add a tsp of cayenne pepper! 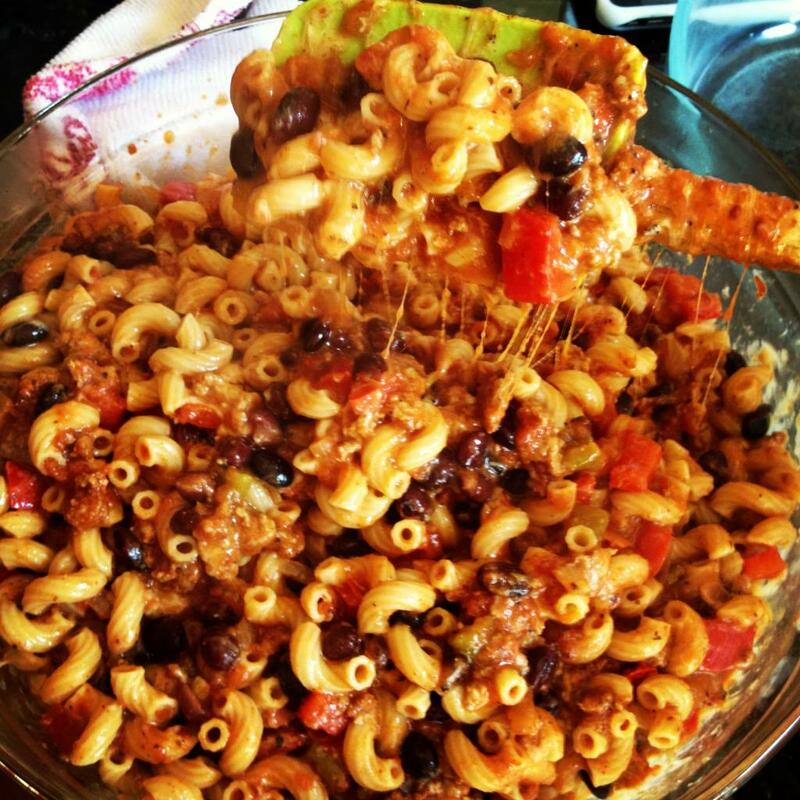 This Turkey Chili Mac & Cheese is a great meal!!! High of 71 degrees today, oh thank the lords! I am a giant grump in the heat and I am thrilled to have perfectly warm days and cool nights! 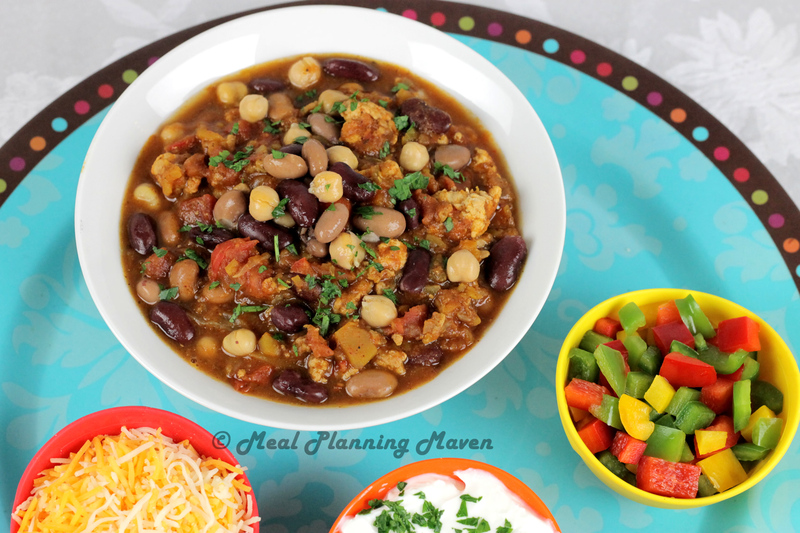 One of my very favorite, if not absolute favorite, warm the belly comfort foods is easily chili! My favorite way to eat it… get ready for this… oh and don’t dismiss me as a crazy loon for it…. but I serve my chili over SPAGHETTI with a heaping pile of shredded cheddar on top!!! I saw one of those traveling shows on Food Network and this place did just chili and served it over pasta, my thought immediately was YUM! Maybe you’re thinking, Yup this chick is off her rocker, but seriously don’t knock it till ya try it! 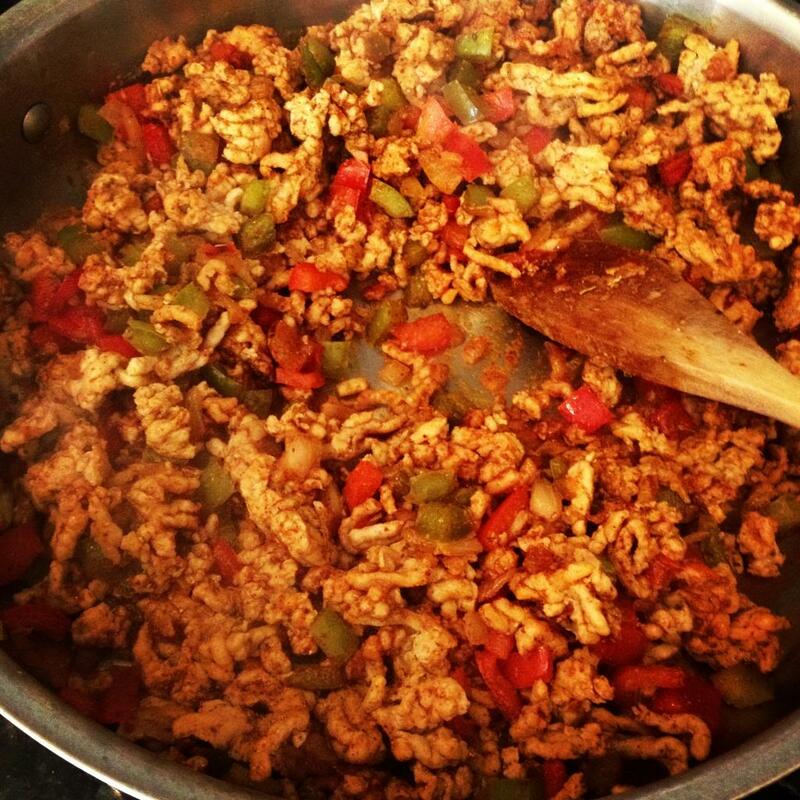 Just think of it as a whole new version of bolognese!